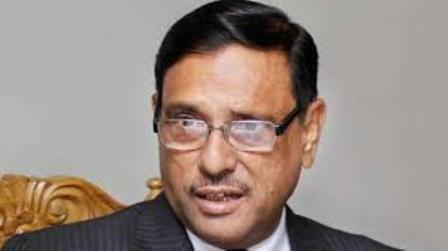 Awami League (AL) General Secretary Obaidul Quader on Saturday said the apprehension of BNP-Jamaat’s sabotage over the upcoming national election is not baseless. 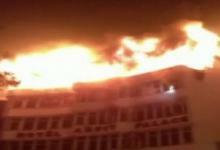 “The evil communal forces have been united in the name of Jatiya Oikyafront. 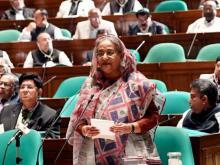 Their prime target is to overthrow AL and Prime Minister Sheikh Hasina from the state power. So, many conspiracies will be hatched and sabotage plans will be mapped out centering the polls,” he told journalists at AL president’s political office in city’s Dhanmondi after a meeting with party secretaries. AL Joint Secretaries Dr Dipu Moni and Jahangir Kabir Nanok, Organizing Secretaries AFM Bahauddin Nasim and BM Mozammel Haque, Office Secretary Dr Abdus Sobhan Golap, Information and Research Secretary Adv. Afzal Hossain, Relief and Social Welfare Secretary Shree Sujit Roy Nandi, Forest and Environment Affairs Secretary Delwar Hossain, Science and Technology Affairs Secretary Engr. Md Abdus Sobur, Deputy Office Secretary Barrister Biplab Barua, Deputy Publicity Secretary Aminul Islam and members of the central executive committee SM Kamal Hossain and Marufa Akhter Popi joined the meeting, among others. Referring to Jatiya Oikyafront’s demand of holding dialogues, Quader, also the road transport and bridges minister, said there is no time and also no convincing reason for holding dialogues ahead of polls. The Election Commission (EC) said that the general election schedule may be declared in the first week of the next month (November), he mentioned. “Jatiya Oikyafront is an alliance of evil communal forces. So, AL is not agreed to hold any dialogue with them,” Quader said. Referring to BNP standing committee member Barrister Moudud Ahmed’s remark that AL is afraid of Jatiya Oikyafront, the AL general secretary said,”We see no reason of being afraid of or worried over the Jatiya Oikyafront”. The Oikyafront leaders first went to the foreigners instead of going to the people, he said, adding that they even don’t know who will be the prime minister, if they win in the polls. The AL general secretary said, “We are fully prepared for the next parliamentary elections. Our source of power is the countrymen,” he said. Quader thanked Prime Minister Sheikh Hasina as the Durga Puja of the Hindu community has been celebrated across the country peacefully.